Save your Commodore 64's power switch, get a reset button! There are two versions available: The IEC model is plugged into the computer's serial port (or rather one of the serial ports of the floppy drive, since the computer IEC port is usually already taken). The second model is plugged into the Userport. 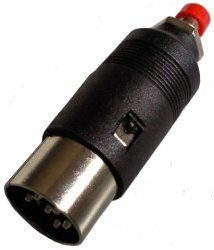 Both are easy to install and offer a convenient way to reset the C64 immediately.